The sad demise of the Windows Phone now official. During the weekend, Microsoft’s Joe Belfiore tweeted confirmation of something that has been suspected for many months: Microsoft is no longer developing new features or new hardware for Windows Mobile. Existing supported phones will receive bug fixes and security updates, but the platform is essentially now in maintenance mode. But in spite of this, until Belfiore’s tweets at the weekend, Microsoft never actually said what its plans for Windows Mobile were or how it would be developed going forward. Answering another question on Twitter, Belfiore explained that Microsoft never got over the app incentive hurdle, with a user volume too low to justify the investment from app developers. In late 2017, with the platform all but extinct, that’s not tremendously surprising. Over the last year, sales of Windows Mobile devices collapsed. Two to three years ago, annual sales of Windows Phones numbered in the tens of millions; now, they’re close to zero. For fans of the platform—and I’m one—the statement… the admission… is just confirmation of what we’ve long suspected but hoped to avoid. The Windows Phone design, with its bold Live Tiles, white-on-black theme, and crisp design, is still the mobile platform that I find most pleasant to use. It’s clean and attractive and thoughtful in a way that the competition just isn’t. We wanted it to succeed because we liked the product. What makes Microsoft’s position particularly disappointing, at least for this writer, is a continued sense that it didn’t have to be this way. In developing Windows Phone and Windows Mobile, Microsoft made a number of fumbles. The company was too slow to grasp the importance of capacitive screens and finger-first user interfaces. Instead of seeing the iPhone and immediately starting development on Windows Phone, the company first tried to graft some basic finger-friendly interface features to the (old) Windows Mobile—an operating system that remained fundamentally stylus-oriented—with miniature replicas of mouse interfaces. When Windows Phone 7 hit the market in 2010, it was clear that Redmond did, in fact, know how to put together a high-quality, finger-based user interface and build an operating system around that interface. This initial release held promise, but it was feature poor—it didn’t even have copy and paste at first, in a strange mirroring of the iPhone’s early feature deficits—and perhaps more fundamentally, Microsoft was sticking to its traditional business model of charging hardware companies for software licenses. On one level, this decision was understandable, because it’s a model that had proven hugely successful for Windows and modestly successful for Windows Mobile in the pre-iPhone era. But on another level, it was clearly a mistake: the head-to-head competition in this market wasn’t iOS (because Apple doesn’t license iOS to third parties) but Google’s Android. And while there were (and are) licensing complexities around the Google Apps and Google Play Store, the core Android operating system was and is zero cost for hardware companies. Anyone can throw some parts into a phone-shaped box and slap Android onto it without paying Google a penny. Microsoft then subjected users of this nascent platform to a painful transition. Windows Phone 7 was derived from the old Windows Mobile software. Windows Phone 8, released in late 2012, was not; it was a sibling to the desktop Windows operating system using the Windows NT kernel. Strategically, this was the right thing to do. Microsoft unified its Windows development using a common operating system kernel and, increasingly, developer APIs across phones, tablets, laptops, desktop PCs, servers, and even the Xbox and HoloLens. But the move was not without pain. Windows Phone 7 devices couldn’t be upgraded to Windows Phone 8, leaving early adopters with phones that were prematurely end-of-lifed and a bad taste in their mouths. Moreover, the mere work of moving to the common kernel and APIs was such a huge undertaking that it didn’t give Microsoft much time to actually work on features and capabilities. Windows Phone 7 had a feature deficit relative to Android and iOS, and Windows Phone 8, rather than closing this feature deficit, was instead focused on updating and replacing the operating system’s core. A company that had more immediately recognized both the threat and the opportunity the iPhone represented, as well as the business transformation that Android made inevitable, might well have avoided these problems. Quicker adoption of true touch interfaces, a decision to use a common NT kernel platform from the outset, a move to a store-based revenue model rather than operating system licensing; in hindsight, Microsoft could have made better decisions and made them sooner. Doing so might well have made Windows Phone a more successful platform. In spite of all of this, there was some cause for optimism. 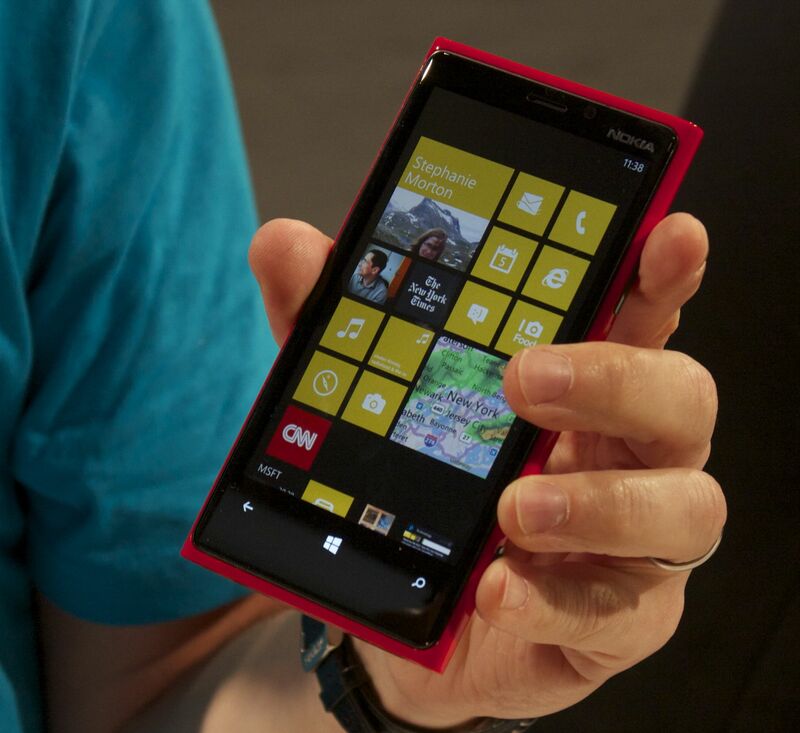 The first generation of Windows Phone 8 handsets from Nokia were well received. Nokia had a good selection of phones from the flagship Lumia 920 down to the cheap and cheerful Lumia 520. Strong cameras became something of a Lumia trademark, and Windows Phone-specific design elements—such as a dedicated camera button with half-press autofocus—provided thoughtful differentiation. 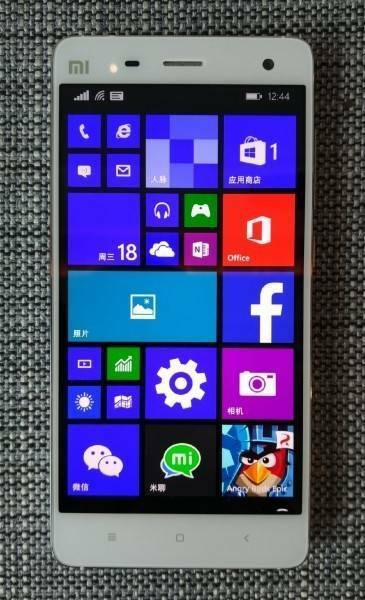 The enormous Windows Phone 8.1 update added a range of useful features, including a best-in-class swipe-based keyboard. As much as the platform had struggled since its 2010 launch, the wave of 2012 and 2013 hardware and software releases appeared to put it on a surer footing. At the low end, devices like the Lumia 520 offered a true smartphone experience that Android struggled to match. Comparably priced Android hardware wasn’t as good: the software felt slower; the hardware felt less carefully constructed. And at the high end, the attractive software and high-end cameras were enough to pique interest. Per Kantar Worldpanel, Windows Phone hit a 12-percent market share in the UK in August 2013; 12.9 percent in France in November 2013; 17.1 percent in Italy in December 2013; 10.5 percent in Germany even as late as August 2015. The domestic story was never as good; Windows Phone barely cracked 5 percent in the US, which for an American company was always awkward. These numbers still left Windows Phone in third place (or, occasionally, second place in markets with particularly weak iPhone penetration). But the trajectory was upwards, with a platform and product mix that was suitable for a wide range of audiences. In September 2013, Microsoft announced plans to buy Nokia’s phone business in a deal that cost $7.1 billion and wouldn’t close until April 2014. The future felt promising: keep the same product mix, keep making the platform better, and Windows Phone looked well positioned to, at the very least, stake out a solid third place and perhaps make a challenge for second place. But then things faltered. That product mix fell apart. Instead of annual updates to its phones offering incremental improvement—the model proven by, among others, Apple and Samsung—Nokia’s replacements for the Lumia 520 were worse in virtually every regard, and its high-end successor never even made it to market at all. Nokia’s product pipeline was deeply flawed, and the momentum of 2012 and 2013 was squandered. Compounding this, Microsoft was making a second platform transition. Windows Phone 8 moved to the NT kernel and some shared APIs between phone and desktop; Windows Mobile 10 greatly increased the compatibility between phone and desktop, with Microsoft’s Universal Windows Platform (UWP) representing a common set of APIs for application that spanned both form factors. As before, this was a strategically important move to make, but, as before, it came at a high price: many Windows Phone 8 devices did not receive an official upgrade to Windows Mobile 10, and Windows Mobile 10 did relatively little to improve the actual end-user appeal of the operating system. Instead of a series of Windows Phone 8.1 and 8.2 updates to strengthen gaps and build a better platform for end-users, there was a period of stagnation. Indeed, some aspects, such as the swipe keyboard, were widely regarded as being worse in Mobile 10 than in Phone 8. Windows Mobile 10 also had strange feature regressions: it didn’t support CDMA networks, so when few flagships were finally released in late 2015, they wouldn’t work on the Verizon or Sprint networks in the US. As if the hardware and software missteps were not enough, public displays of “no confidence” were the final nail in the coffin of the platform. In July 2015, Microsoft’s new CEO, Satya Nadella, announced that 7,800 employees, primarily from the company’s hardware division, were to be laid off, while the near-$8 billion value of the Nokia business was to be written down. Sources close to the matter tell us that these layoffs are the reason, for example, for the lack of CDMA support in Windows Mobile 10: the people with the relevant technical expertise were simply let go. We’ve also heard of consequences beyond that; people within the company have told us that Microsoft’s tardiness at updating the Surface Pro, for example, was fallout of these hardware layoffs. Microsoft didn’t (and perhaps still doesn’t) have enough personnel to develop the Xbox One S, Xbox One X, and Surface Studio and revise the Surface Pro and Surface Book at the same time. In its stronger markets, Windows Phone just about held steady over 2014 before declining sharply in 2015 and 2016. The lack of desirable hardware, the lack of progress in the software, and the lack of management support meant that, instead of building on the successes of 2012 and 2013, Windows on phones was allowed to die. We’ve heard from people within the company that a choice had to be made; developing a decent hardware pipeline would have required further investment in the Nokia phone business, perhaps of the order of a billion dollars. The alternative was to not make that investment and scale things back. That’s the decision that was taken, and Belfiore’s tweets over the weekend are the ultimate consequence of that decision. We might well wonder why Microsoft didn’t say so sooner and instead strung along not only the platform’s fans but even OEM partners; it’s hard to imagine that HP would have built its Elite x3 phone had Microsoft been clearer about mobile. Even with this announcement, there’s still speculation that Microsoft is going to bring out a new device—something phone-like but not a phone—that’ll compete, somehow, in the mobile space. For all the rumors about a “Surface Phone,” though, it’s unclear precisely what this device would do that is meaningfully different from anything else on the market or if it will be compelling enough to reverse the company’s mobile fortunes. For now, all we can do is mourn: the best mobile platform isn’t under active development any more, and the prospects of new hardware to run it on are slim to non-existent. As for me, I switched to an iPhone more than a year ago. Every day, I’m struck at how the main user interface is basically that of Windows 3.1’s Program Manager, and iOS 11 has been fantastically unstable for me. I don’t enjoy iOS in the way I enjoyed Windows Phone. But it’s actively developed, and third-party developers love it, and, ultimately, those factors both win out over Windows Mobile’s good looks and comfortable developer platform. Could the Death of Groove Music Pass be the Death of Microsoft? It seems that MS are jumping out of a sinking industry. Getting us users to move from one sinking ship to another and announcing it as great news. How long can Spotify exist with being over 600 million in debt and not making a profit? Just how have they survived so long? 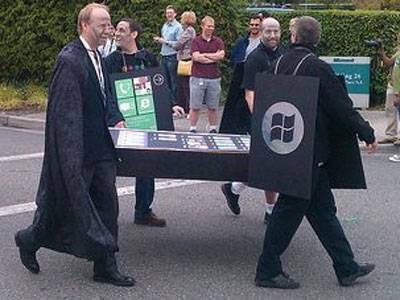 With MS killing of its hardware side, as those in the know have just announced they expect the Surface range to die next year. Could only make people wonder, just how long has the XBox got? Microsoft is giving every impression of a shrinking company, the average consumer may come to forget who they are. This in turn may affect enterprise customers thinking. Seeing Microsoft retreating into a virtual world where nobody cares about it. Their competitors have streaked past them in the consumer market to be companies that everybody knows and recognises. Even those companies know that they can use their vast resources and pockets to prop up a side of the business that in turn makes their other products look good. People will become those that only use Microsoft products in the office. A competitor could see just how Microsoft has become and decide then they want that business. By then Microsoft would simply be too small to have the resources to fight back effectively. Update: So when I wrote this I was extremely pissed off at losing such a good service that I love and use all the time. And will continue to do so until December 31st anyway. But seeing as the Spotify app for Windows Phone is so bad and its the only device I would use, I also hate paying for something so poor and buggy. Don’t you just hate it when good things come to an end. I’ve had my ups and downs with Microsoft as a company. This has just kicked off one of those down periods. Lets hope they do something good soon to turn that around. With no flagships announced, software that is on other platforms and a weak app store for the better part of a year, many consumers have asked what is the value proposition of Windows Phone. Up until last week, Microsoft did not have an answer that they were publicly willing to share but now we know how the company will respond to this question going forward. 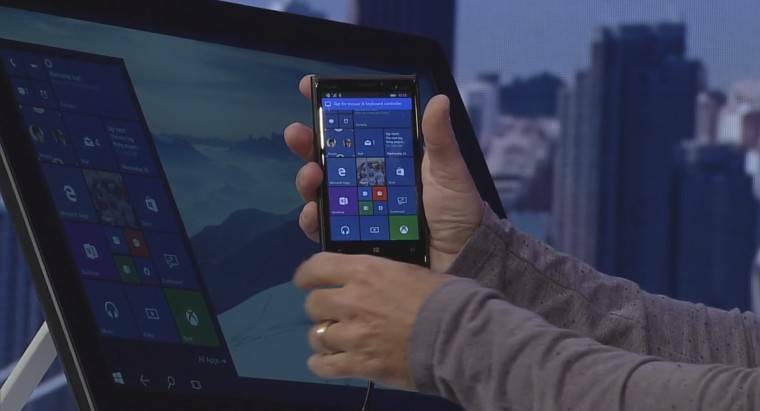 Continuum for phones, that is coming with Windows 10, is Microsoft’s ace up the sleeve. 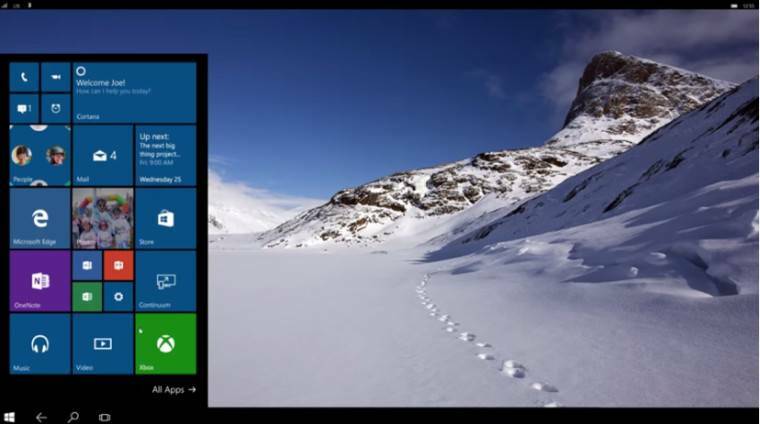 The feature, which requires new hardware and will be arriving in new devices this summer, is the ‘killer’ feature that you can only get on Windows 10 for phones and it will not be easily replicated by any other player in the market. What this feature allows you to do is take your phone, connect it to a keyboard, mouse and monitor and use the device like a desktop PC. This isn’t a watered down experience either, because of how Universal apps are designed, you can run all the Office apps just like you would on the desktop with most of the features being present as well. While we know this may not be a feature everyone will use on day one, it’s easy to see how this functionality will one day replace your laptop. Looking at how quickly smartphones have progressed over the past 10 years, it’s fair to say that the devices of today are at least as powerful, if not more so, than the laptops of ten, maybe even five years ago. If you think about where the smart phone is headed in the next five years or so, you can only imagine how much horsepower will be under the glass in future devices. Phone Continuum will likely never replace developer machines or those used for video/photo editing but for some users who only need email, chat and web browsing, this scenario is a very real solution to consolidating their technology. There are other reasons to choose Microsoft’s mobile platform like Cortana and the many new security features that offer a better ecosystem when you are already using a Windows PC. But for a quick, one sentence answer that is easily directed at consumers, Continuum is the marketing word of choice as it is not only new but forward-looking as well. When it comes to ‘killer’ features, Cortana, while better than Siri and on equal footing to Google Now, has competitors that now exists but Continuum is unmatched. Yes, there were earlier devices that tried to replicate this experience but they were limited to a few handsets and the apps were simply phone apps on a larger screen; they never gained much attention. While Microsoft hopes that its new iOS/Android app porting strategy will fill out its store and they will consistently update Cortana, Continuum is the new show pony for the platform. If you’ve been itching to try out a technical preview version of Windows 10 on your phone but didn’t have a device on the short list, then we have good news. Microsoft just released a list of devices that it expects to support in the next “flight” and it includes additional Lumia models like the 1020, 1320, 1520, 920, Icon and so on (the list is after the break — it does not include the Lumia 930). It will be at least a week until the next update rolls out, but there’s no specific date promised, and the list of supported devices could change. Until now, differences in partition sizes had kept the Windows 10 testing to just a few devices, but Windows Insider manager Gabriel Aul says that the “partition stitching” code needed to support more devices is finally ready. If you have a Lumia devices, then a taste of the next big update is close at hand, until it arrives take a look at our early experiences here. 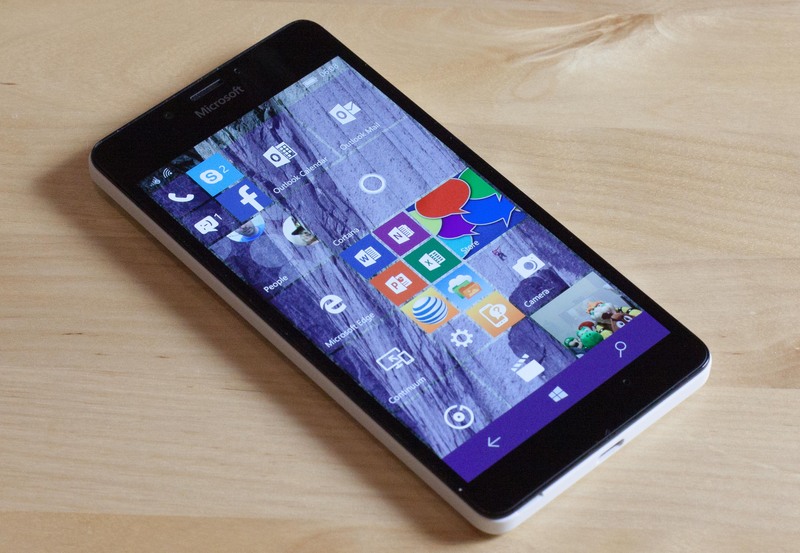 Source: The Windows 10 preview will work on more phones soon. Microsoft is developing a Windows 10 ROM that can be flashed onto Android devices to easily convert them to Windows Phones. As part of its announcements surrounding the upcoming launch of Windows 10, Microsoft also mentioned that Xiaomi, an up and coming Chinese smartphone company, is currently testing Windows 10 for phones on its Mi4 flagship. While that may sound like a new partnership between the two companies, Xiaomi emphatically denied that that was the case. In fact something even more interesting is taking place. According to a report from TechCrunch, citing unnamed sources, as well as Microsoft’s own statements, the Windows maker is developing an image of Windows 10 for phones that can be easily flashed onto Android devices, essentially transforming the device into a Windows Phone on the spot. It’s this image, similar to the ROM provided by Cyanogen or others, that Xiaomi’s community is currently testing. If everything goes well Microsoft supposedly has plans to expand the program to other devices and manufacturers as well. And there should be a dual-boot option too. This is indeed intriguing especially to the countless folks who enjoy tinkering with their devices and having the freedom to run whichever operating system they want to. This approach may also resolve some of the community’s concerns regarding flagship Windows phones, at least in some cases: imagine picking up any high-end Android phone and simply flashing Windows 10 onto it. While, more generally speaking, this approach might prove to OEMs how simple it is to switch to Microsoft’s platform. As part of the Windows Insider Program, Microsoft will partner with Xiaomi to offer Windows 10 free downloads to a select group of Xiaomi Mi4 users. Xiaomi Mi4 users will get the ability to flash their phones with the new Windows 10 OS and provide feedback to Xiaomi and Microsoft on their experience. This partnership will allow Xiaomi and Microsoft to get direct user feedback and continue to improve the experience for China. Microsoft is thrilled to see Xiaomi embracing Windows 10 and offering this great value to their customers. We’re excited to see the feedback we receive from this audience. Xiaomi is a leading phone manufacturer in China undergoing significant global expansion. We are excited to partner with them in China and jointly gather feedback from Chinese users on their experience with Windows 10 to jointly collaborate on product and services development for the platform. Availability will be announced in the months to come. 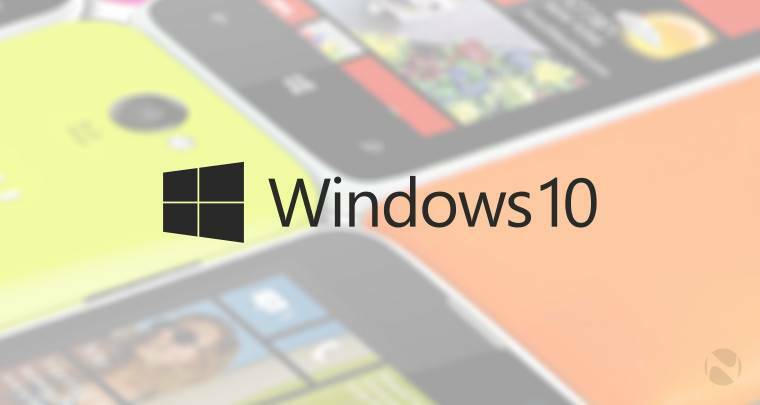 Source: NeoWin – Microsoft wants to convert Android devices to Windows 10 phones with special ROM [Update]. You’ve probably used Skype to chat with your family and friends. Now you can use it to chat with colleagues and co-workers as part of your official workday. Unveiled Monday, the Skype for Business Technical Preview will give you a chance to try the workday edition of the software before it officially launches next month, Giovanni Mezgec, general manager for the Skype for Business team, said in a blog post. Designed to replace and expand on Microsoft’s Lync communications platform, Skype for Business will allow you to search for, connect with and chat with other Skype users, whether inside or outside your organization. The new Skype for Business will also be integrated into Microsoft Office, so instant messages and voice and video calling with be accessible within Office as well. Otherwise, Skype for Business will work and act like the consumer version. Since taking over as Microsoft CEO, Satya Nadella has been on a mission to transform the company into one that emphasizes “productivity and platform” and not just devices and services. Skype for Business falls into that new strategy, as the product is geared toward helping business users better collaborate with each other. The business-oriented version also emphasizes Microsoft’s need to continue to focus on corporations as a key source of customers and revenue. Skype for Business is specifically geared toward companies and other organization as it offers enterprise-level security along with the necessary management controls for IT professionals. IT pros and business users can browse to the Office Evalutions page to register for and download Skype for Business. Along with Skype for Business, a preview edition of Microsoft Office 2016 is now available for the enterprise crowd. The IT Pro and Developer Preview of Office 2016 for the Windows desktop offers enhancements for both users and IT administrators, including quicker searching and improved readability in Outlook and easier ways to deploy Office bug fixes and updates. IT admins and business users who want to check out the new Office can sign in to download the program at the Office 2016 Preview (for Business) Profile page. Source: Microsoft opens Skype to the business world – CNET. 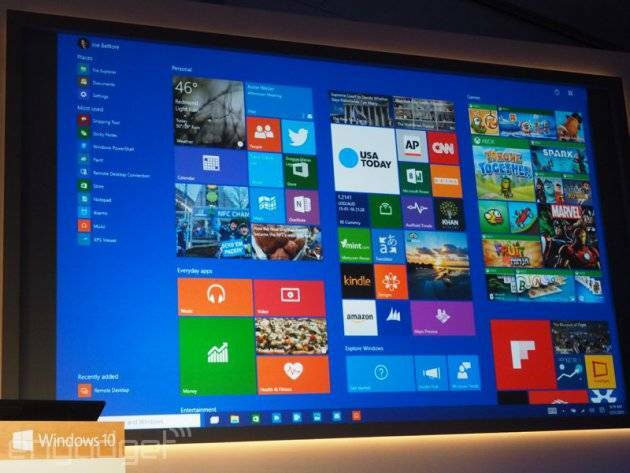 Microsoft’s big promise with Windows 10 is its ability to run apps across the entire platform. The framework for these universal apps hasn’t been described in much detail, but a post on the Windows Blog gives a bit more insight under the hood. Redmond’s calling these “mobile experiences,” meaning apps you can use across many different devices; the software is mobile, not the gizmo you’re using it on. Cortana moving from smart phone to desktop and the Xbox One’s Game DVR tool being available on your gaming PC are but a few examples. The idea is to offer a set of standards across the Windows 10 platform so everything remains familiar regardless of what piece of hardware you’re accessing the application from. That means everything should have, in Microsoft’s words, an adaptive user experience with natural inputs; calls for cloud-based services including Cortana integration and the action center and one design language across the board. Microsoft wants applications to take advantage of inputs that makes sense based on the device you’re using them on. So, touch input for OneNote on phones, a pen input with Surface Hub or a tablet, voice and eye tracking for desktop software. Another example Redmond gives is if you tap an icon with your finger, it’ll automatically get bigger than if a mouse-click is detected. This design philosophy will apparently travel across every Win10 device — including HoloLens and internet-of-things gadgets like the Raspberry Pi 2. Developers will have access to the tools that Microsoft’s internal teams do, too, with the blog post specifically name dropping animations, APIs and controls. What does that mean for you, dear reader? Well, hopefully that apps keep up a consistent look and feel with Redmond’s internal projects like the Spartan browser, such as. Windows 10 is still on track for release sometime later this year, and the post promises even more detail come the software giant’s Build event in April. Source: Engadget – This is how Microsoft will unite your Windows 10 devices. Microsoft Garage is an initiative at Microsoft that works like an internal accelerator, taking ideas that employees have outside of their ordinary day jobs and turning them into real apps. The first batch broke cover last October, and now there are nine new projects making their official debut today. These include a mobile app that lets software engineers check in on Visual Studio Online projects in a secure way without having to be on the company intranet on their notebook; a weather app designed for use in China that offers air quality reports customized for each user; and a conference call management app that can pull meeting ID and pins from invites and automatically enter the details to connect you to your call with a simple tap or voice command. DevSpace, Your Weather and Join Conference are the apps Microsoft highlighted in a blog post announcing the new slate, but a few that might be even more useful for some users include Keyboard for Excel, which replaces your software keyboard with something specific to Excel, for optimal input of figures and formulas. The SquadWatch app, another Garage production, provides real-time location on friends and family who agree to take part, much like a Find My Friends for Windows Phone. Other new apps that have already broken cover but that are re-launching with new features or updates in this batch include Mouse without Borders, which allows you to control multiple computers with a single mouse and keyboard; Developer Assistant, which offers a way to browse and re-use code snippets and samples from Visual Studio; Picturesque Lock Screen, which puts Bing home page pictures on your Android lock screen, as well as direct search and call/text notifications; and finally Torque, which gets updates that let you define Android shake behavior to trigger a range of actions, including voice search, calls, dictation or app launching. Microsoft’s Garage is producing some of the most interesting software to come out of Redmond or any of the MS satellite offices in years, and this collection is no exception. Fostering innovation in an organization that size, which in many ways depends on stability and an innate conservatism is no small feat. Garage has managed to produce some interesting stuff you probably wouldn’t see come out of Microsoft’s main businesses, so it’s definitely helping to reduce the risks associated with large, slow-moving corporate entities. 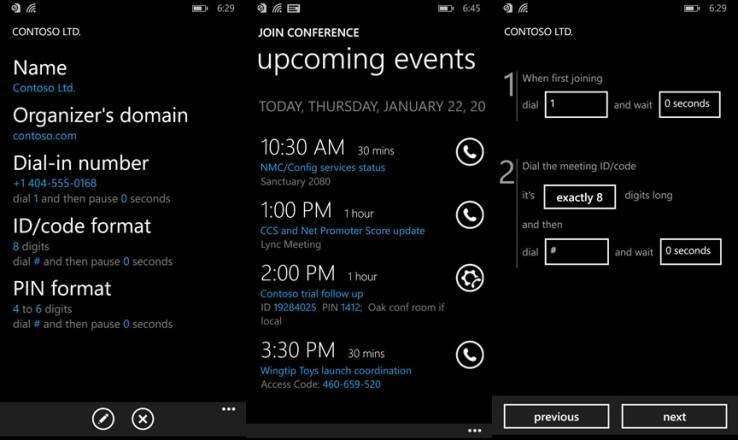 Source: Tech Crunch – Microsoft’s After-Hours Employee App Project Offers A Slate Of New Software. I’ve always liked Microsoft OneDrive and this could be a good way of sharing your files between your web apps and mobile apps. I’ve had a little project on the back burner for a while. Maybe a reason to dust it off now. Despite recent partnerships with Dropbox, Box and other cloud storage solutions, Microsoft isn’t giving up on OneDrive: the company is today launching a new API for the platform. Previously, developers had to use the Live SDK in order to integrate OneDrive into their apps; though that will still work, Microsoft is encouraging developers to shift towards the new API because of its new features. Interested developers can check out the new API at Microsoft’s hub. Source: The Next Web – Microsoft Launches a New API for OneDrive. It’s fairly easy to find friends and family if you have an Android or IOS device, but finding your pals with a Windows phone? Not so much, unless you come across the right third-party apps. That may not be a big challenge for longer. 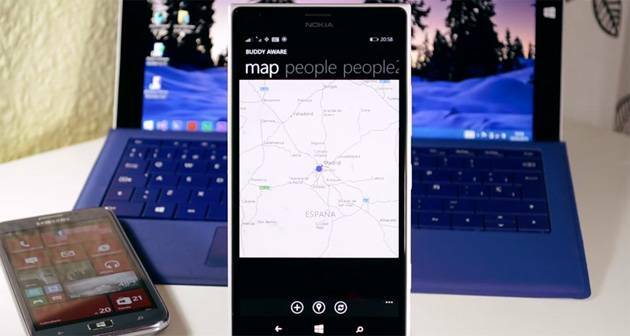 Spanish site Microsoft Place has detailed an as yet unreleased service, People Sense, that will let you share and track locations with other Windows phone owners. The basic concept is familiar if you’ve seen Apple’s Find My Friends, but there’s a stronger emphasis on reaching out — you can call or message contacts in-app, and even get directions if you’d like to meet face to face. People Sense is still in private beta testing (it’s listed as “Buddy Aware” at the moment) and has no clear release date, but it won’t be surprising if the software plays a role in Windows 10. 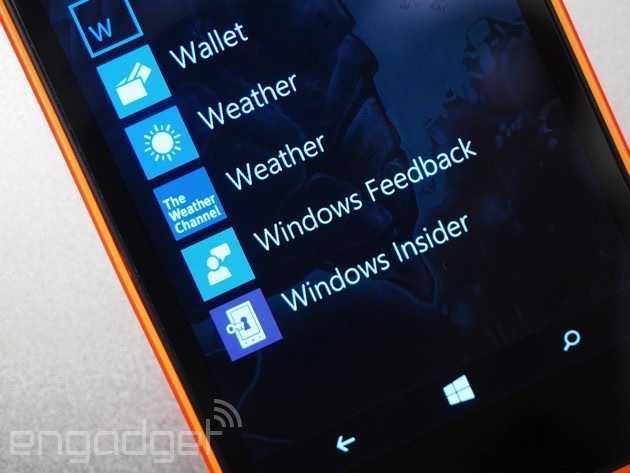 Source Engadget : Microsoft will soon help you find friends with Windows phones.